This genus of Amaryllid has about 16 species that are found from the Canary Islands to West Africa and the Mediterranean shores. 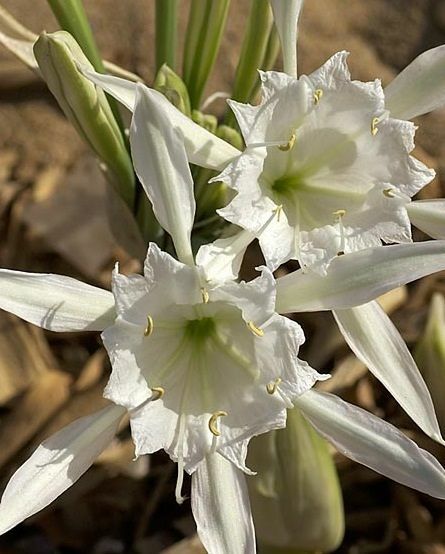 They have several fragrant blooms that are almost always white, never deeper than cream and have a trumpet resembling a daffodil. This eludes to the common name of 'sea daffodil'. A full sun position in well drained soil is ideal, gravel for better drainage can be added. Frost protection is required so containers are more ideal for this gem.